Please see the facebook page for the Morton Challenge run. Morton can be found on the B6014, 1 mile off the A61 – 4 miles north of Alfreton, 7 miles south of Chesterfield. Parking will be on the school field after 9.30am in the centre of the village, follow the yellow signs as you pass through. Once again the day will consist of two events; the Morton Challenge and the Morton Mini Challenge. The Challenge will start at 11am. 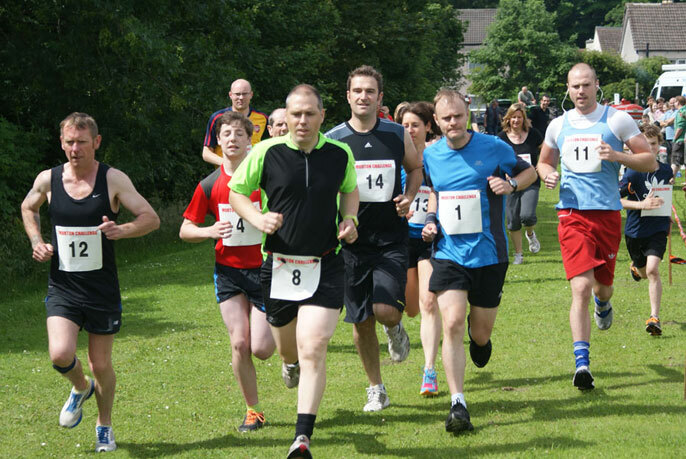 The Mini Challenge should start at 12 noon, depending on runners finishing the Challenge run! The Challenge will be run over a 5 km course consisting of two 2.5km laps. The route is all off road and follows paths and trails. The course is flat…except for the challenging bit, please come fit! 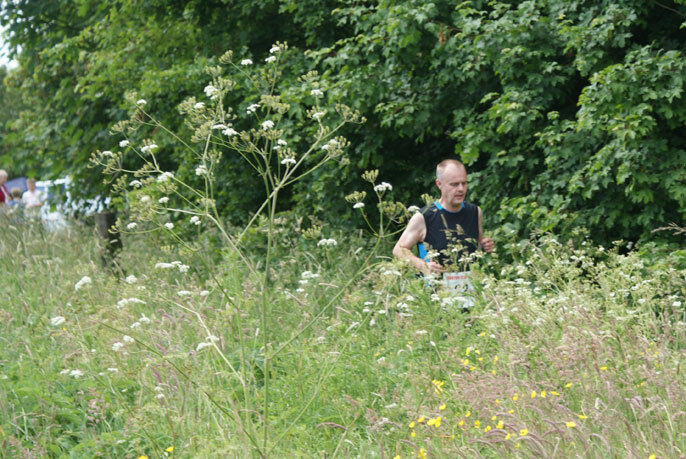 The run will start on New St playing field at 11am and follow the trail circling the colliery mound, a loop through colliery wood, before emerging onto the rear of the colliery to circle the old winding gear building. You then take on the challenge…up the mound! Once onto the top, follow the fencing around the perimeter until finally dropping down back onto the playing field, a quick loop into the wood before a lap around the school field (new for this year) then back onto the playing field, running through the finish to repeat a second lap. 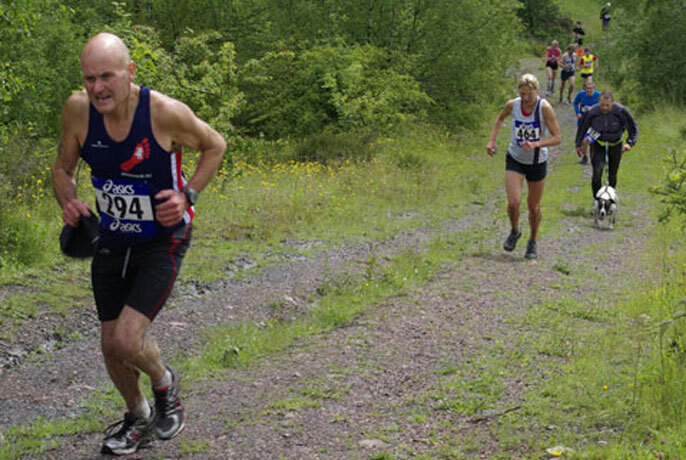 This run is open to runners aged 12 and over. 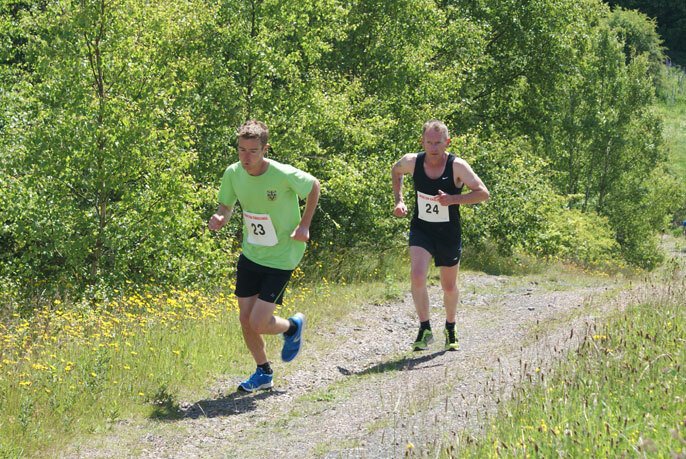 The Mini Challenge will be run over a flat 1 mile course, consisting of two half mile laps. 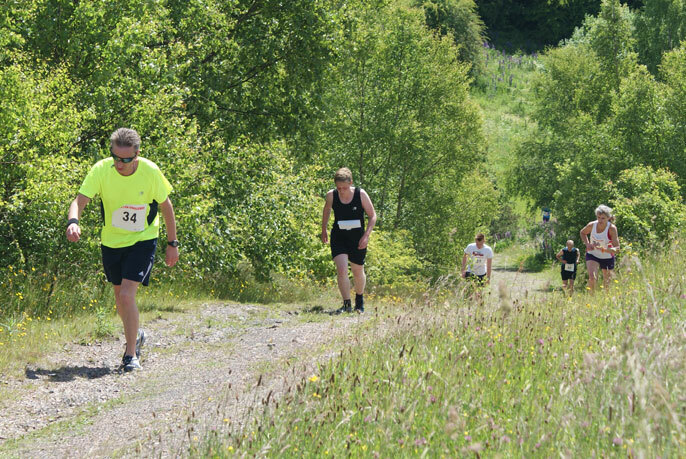 The run is all off road and on grass and trail paths…and even better for this year – no run up the mound! The run will start on New St playing field; follow the edge of the field and go down into the wood, a short loop back up onto the field before running a lap of the school field to run back onto the playing field to repeat another lap. 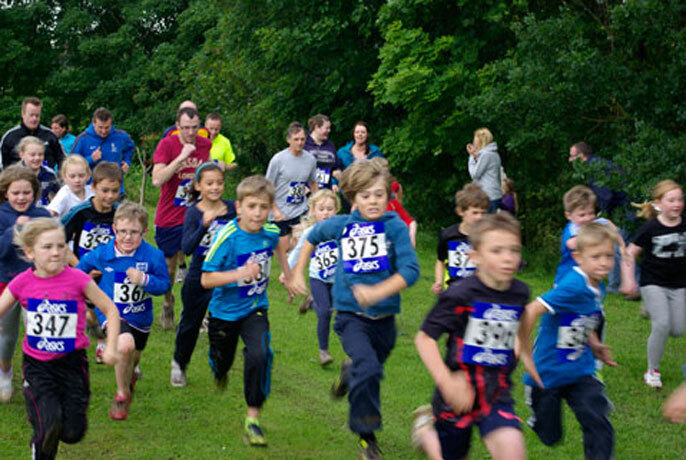 This run is open to all runners aged 5 and over, it’s not just for the younger runners, if you’re just starting out this is an ideal run to begin with. Runners must be escorted by an adult. 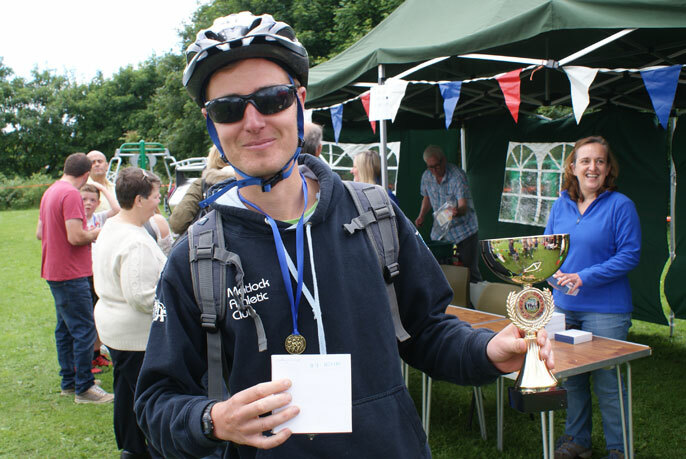 All runners in both events will receive finishing medals. Depending on the weather, course conditions will vary. If it’s been dry and warm in the days leading up to the event then it’s a lovely run, but if it’s been wet…come prepared! Check the website in the days leading up to the run for updates. 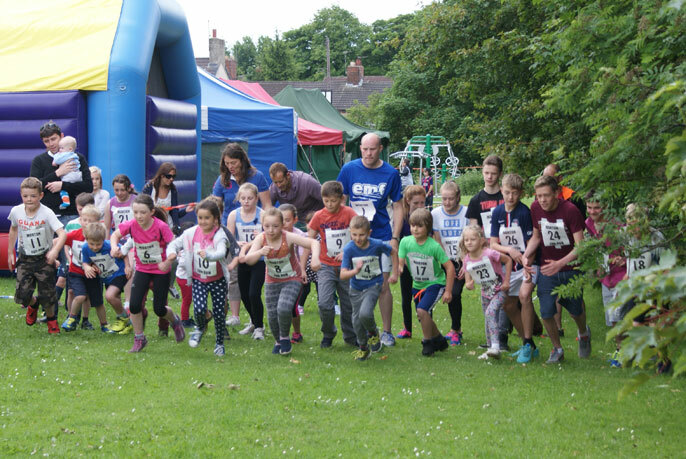 The eleventh anniversary of the Morton Fun Run took place on the morning of the village gala on 26th June 2017. The run has evolved over the years from just a 6km road race, then a road race with a family orientated 1 mile run around the colliery trail, and finally for the past 5 years the 5km Morton Challenge has become the main event of the morning, supported by the 1 mile mini challenge for all runners young or old and all abilities. 22 runners lined up for the 11am start in the Morton Challenge, a slight change to previous years courses with a little extra loop onto the school field at the end of each lap to make each of the two laps exactly 2.5km. At the end of the first lap it was close between the leading three runners as they ran across the top of the mound in view of the crowds on the playing field, with only two seconds separating the winner of the previous four races, North Wingfields Tim Clayton, and two young newcomers; Luke Beresford from Ripley – a well known local runner, and Shirland youngster Bertie West, these three had a 1 minute lead over the rest of the field at the start of the second lap. 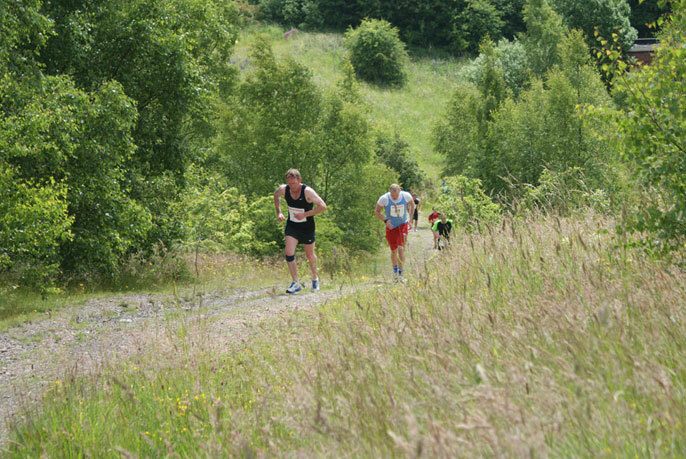 (The photo on the front cover shows Bertie West leading at the top of the steep climb half way round the first lap). Over the top of the steep climb of the colliery mound for the second and final time Beresford accelerated away from Clayton and opened up a sizeable gap along the pathway around the top of the mound before dropping back onto the playing field. At the finish it was Beresford that broke the tape to take the win in a very fast 21.36 minutes, with Clayton taking second – and first veteran male (over 40’s), in 22.19. over a minute and a half passed before third placed runner West crossed the line in 23.54, taking the male junior prize (12-17 years). Winner of the Morton Male trophy for the past 4 years, Station Roads Andy Baines, was sidelined due to injury, so the race was on to find a new name to go into the record books, and it was Main Roads Connor Higgon that took the title in 32.00, just beating Pit Lanes Tom Grant. 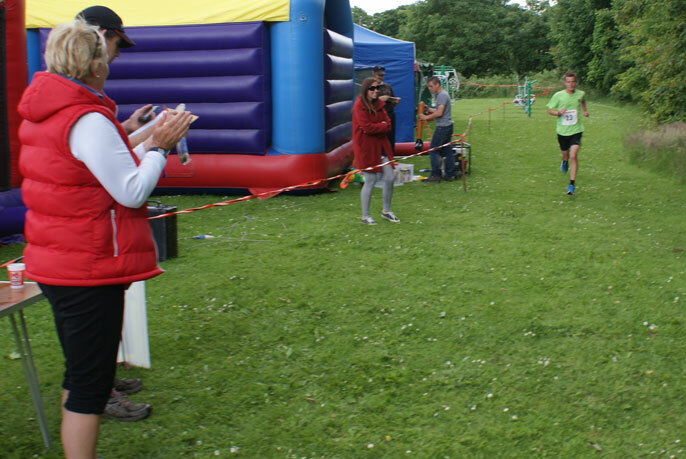 The Morton lady trophy went to Church Lane’s Helen Cashin in a time of 35.54. 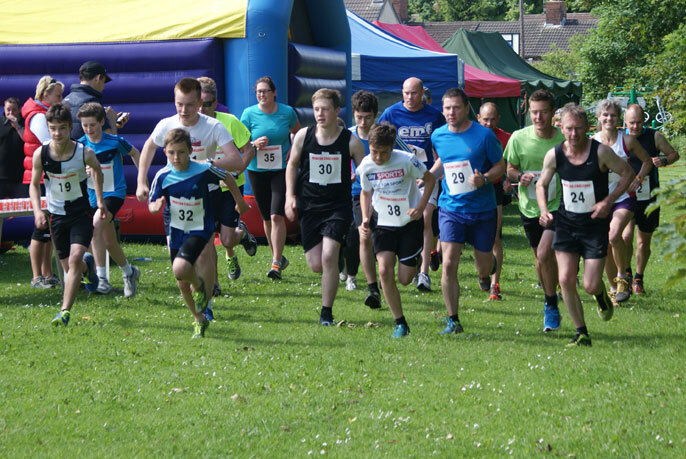 At 12 noon 27 runners of all ages took on the Mini Challenge, a 1 mile race over two half mile laps around the playing field, into the woods and around the school field. Breaking the tape after two fast laps in 6.37 was a very energetic Bertie West, who only half an hour earlier had taken third place in the main event, closely followed by Oliver Underwood nine seconds adrift. 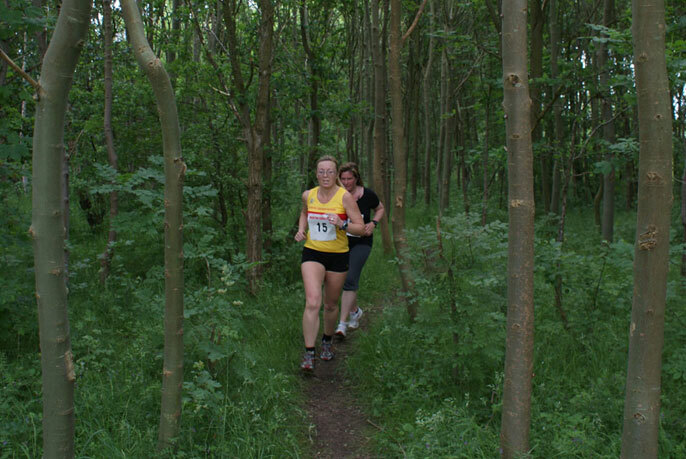 First girl was Mia Beardall from Stonebroom in 7.37, outsprinting Kirsty Hampson by a mere 1 second. There was no race held in 2014.